Niagara Falls in Ontario, Canada is a very popular place for tourists. There are a variety of different ways to view the magnificent Niagara Falls in Ontario, Canada. These tourists like to look from above as the water rushes over the top of the Canadian and American sides of Niagara Falls in Ontario, Canada. 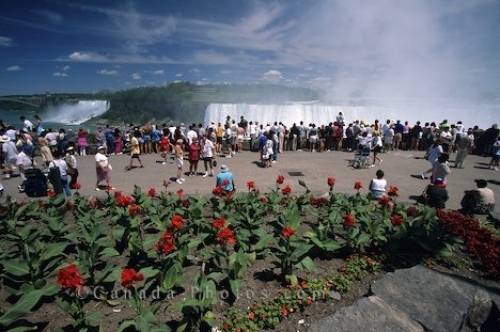 Photo of all the tourists that come to Ontario, Canada to view Niagara Falls.